Shaw Plastic Surgery offers a variety of chemical peels designed to treat certain skin conditions and diminish many signs of aging on the face as well as the hands, neck and chest. Whether you receive a chemical peel to diminish signs of aging or treat a skin condition, you can see: fewer lines and wrinkles, more even skin color, brighter complexion and smoother skin. Chemical peels are performed in our office at Shaw Plastic Surgery and typically result in little to no downtime. Improve the appearance of skin. See noticeable results after just one peel and compelling results after three to six peels. Smooth the appearance of fine lines and wrinkles. See noticeable improvement after just one peel and compelling results after three to six peels. Helps provide vibrant, radiant looking skin with minimal downtime. Who is an ideal candidate for a Vitalize Peel® treatment? 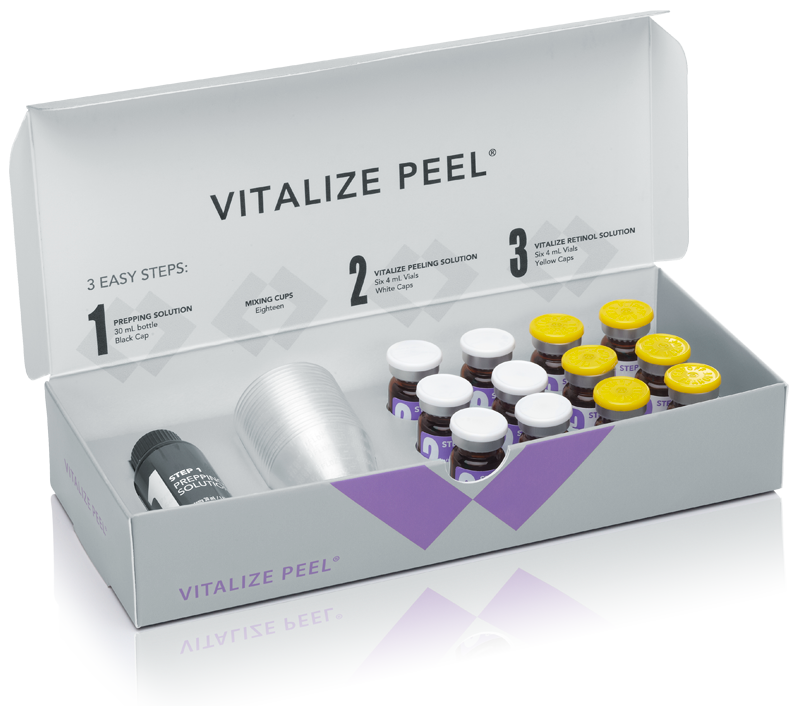 Vitalize Peel® is appropriate for patients with mild-to-moderate skin imperfections that result from skin aging and sun exposure, such as fine lines and wrinkles, uneven skin tone and texture. Vitalize Peel® treatments also address skin unevenness that can be caused by acne scarring or other pigmentary changes. Who is the candidate for Rejuvenize Peel™? 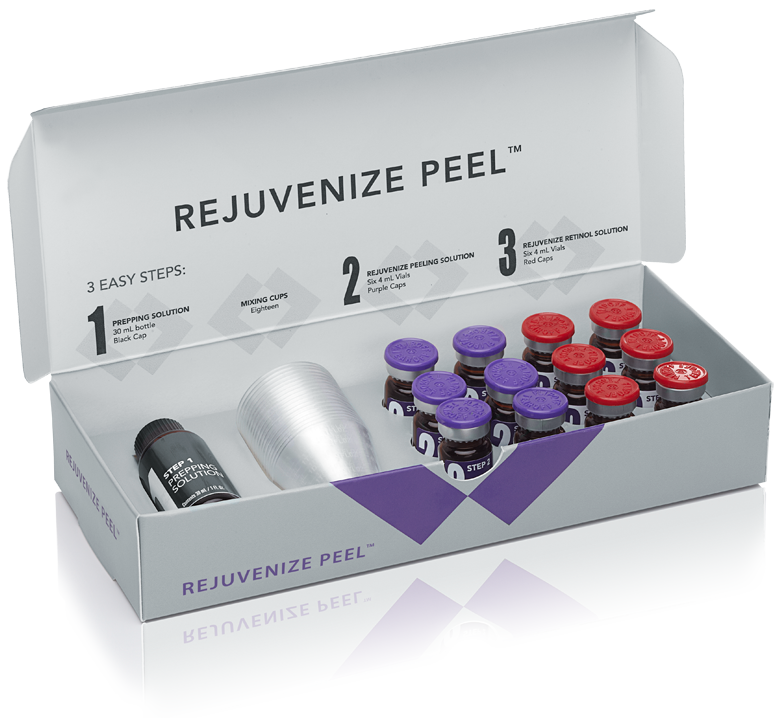 Rejuvenize Peel™ is appropriate for patients with moderate to severe skin imperfections that result from skin aging and sun exposure, such as fine lines and wrinkles, uneven skin tone and texture. 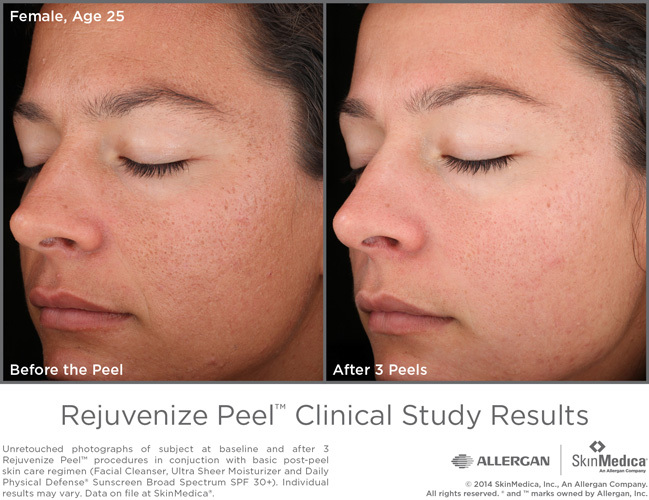 Rejuvenize Peel™ also address skin unevenness that can be caused by acne scarring or pigmentary changes. Who is the ideal candidate for an Illuminize Peel®? 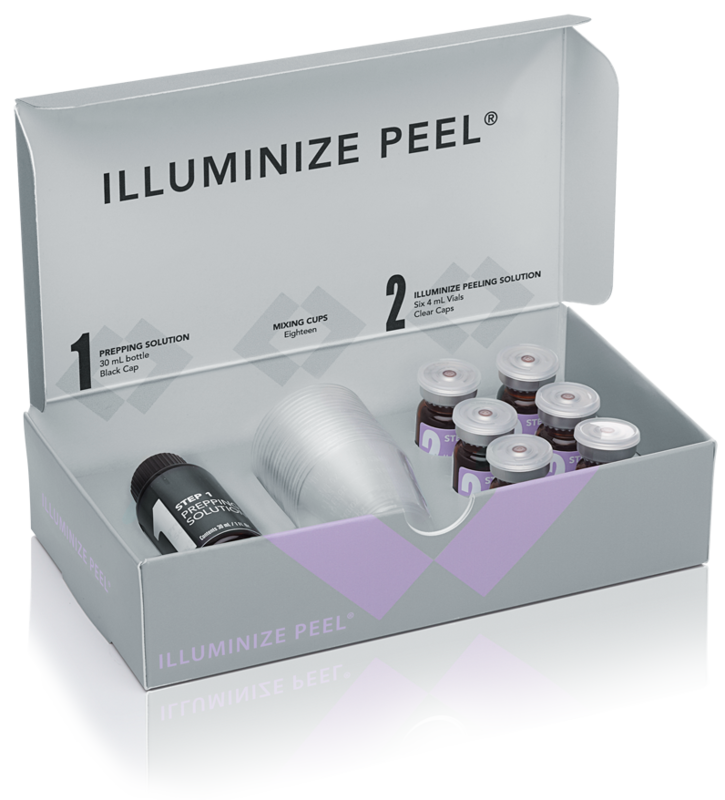 Illuminize Peel®, the gentlest SkinMedica® Peel is appropriate for first-time, chemical-peel patients, patients with mild skin imperfections or patients that are looking for brighter, more radiant skin with no downtime. How do I prepare for SkinMedica® Peel treatment? Any procedure or products that may increase skin sensitivity should be avoided before your treatment. Ask your physician or skin care specialist for details. What should I expect during the SkinMedica® Peel procedure? How will my skin look right after the SkinMedica® Peel? The treatment can leave yellowish tinge on the skin which is expected to last no longer than 2-3 hours. Mild to moderate redness is expected after any type of chemical peel procedure. The extent of redness varies from patient to patient. The face may appear redder than usual for some time after the treatment and completely resolves after the peeling is complete. Will I peel after receiving a SkinMedica® Peel treatment? Dr. Shaw will provide you with in depth post-procedure instructions. Your post-peel regimen will include SkinMedica® Sensitive Skin Cleanser or Facial Cleanser, moisturizer appropriate for your skin type, and Daily Physical Defense® Sunscreen Broad Spectrum SPF 30+. After the SkinMedica® peel treatment, when can I resume my regular skin care regimen? What results can I expect after the SkinMedica® peel? After the treatment, patients will notice an improvement in the appearance of overall skin condition, diminishment in the appearance of fine lines and wrinkles, smoothness of skin texture, more even skin color, and improved skin clarity. How often can I have the SkinMedica® peel treatments? Treatments can be repeated. Please consult Dr. Shaw to determine frequency. How do I maintain optimal results following SkinMedica® peel? The treatment is part of a skin management program that includes SkinMedica® home-use products. To maintain optimal results achieved with the Vitalize Peel® treatments, patients should use a daily skin care regimen recommended by a physician or skin care specialist. Can pregnant or lactating women receive a SkinMedica® peel?